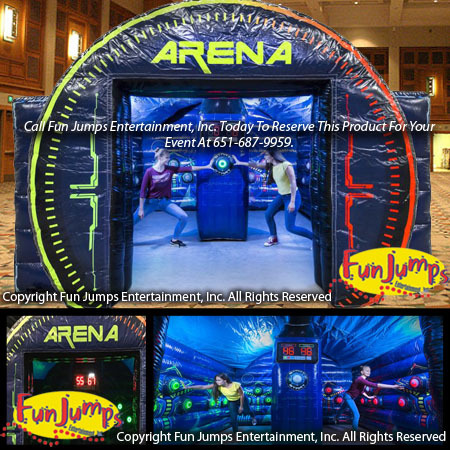 Light Speed Arena is twice the FUN as our Light Speed Interactive Game!!! This Lighting Speed Arena will challenge your hand-eye coordination, endurance and strength. You can play this game 1 on 1 or with 2 teams of 4 players. Get an out of this world experience now! Light Speed Interactive Game is perfect for college parties, school events, corporate fun days, festivals and any FUN event around the Minneapolis - Twin Cities Area!